McLaren CEO Zak Brown is confident that the departure of Fernando Alonso in 2019 will not hamper the team's development through the season. Carlos Sainz and Lando Norris may not be able to provide the same feedback as the double world champion, but Brown has backed the pair to provide key contributions nevertheless. 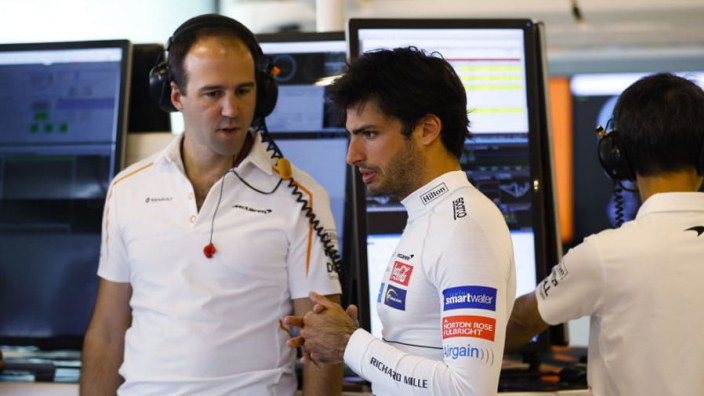 With Brown's five-year plan to take McLaren back to the front of the grid now in full swing, the pressure will be on 24-year-old Sainz and rookie Norris next year. Perhaps looking to fil the gap left by Alonso's departure to chase the 'Triple Crown', McLaren confirmed the appointment of former BMW F1 chief and Porsche LMP1 team principal Andreas Seidl as new managing director. However, the technical staff will regardless remain indebted to driver feedback, something Brown has backed Sainz and Norris to step up to in 2019. "Carlos has a lot of experience and it is good that he has been in a couple of different teams," he told Motorsport.com. "Lando has proven that he is extremely quick, so as far as ultimate performance of how fast our race car is, I think those drivers will get the most out of the car. "They will be able to tell us. "Someone like Lando does not have the experience of Fernando, nor the type of feedback, and it will take some time for him to develop, but for Carlos it is his fifth year in the sport, so we are comfortable with our drivers." MORE: Senna statue caught in amazing 3D photo!